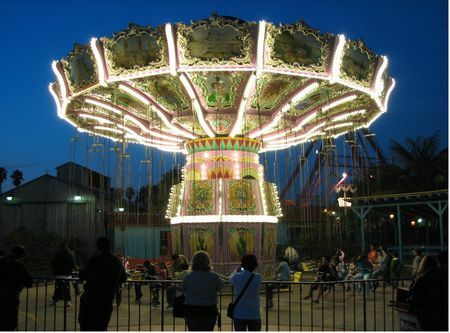 Waveswinger is a swing ride in Fiesta Village at Knott's Berry Farm. It's worth seeing on a time-permitting basis. The minimum height to ride is 48 inches.